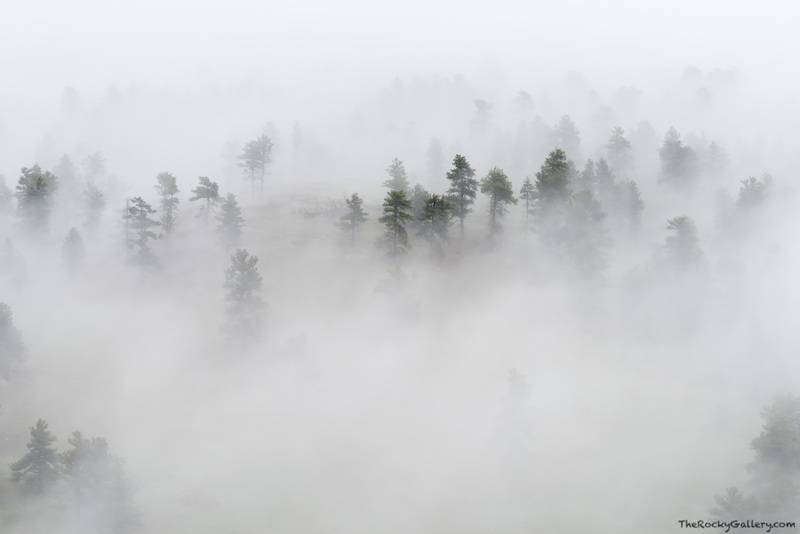 A moody morning at Walker Ranch Open Space just west of Boulder, Colorado as fog and mist filters through the ponderosa pines lining the hillsides. Like waves rolling onto a beach the fog would obscure and cover the forest only to roll back and reveal tiny details and beauty in the landscape. Photo © copyright by Thomas Mangan.